Driver Less Vision examines the tension and reality of AI and humans merging and diverging as they negotiate Seoul’s unique urban landscape – challenging us to consider how we can design cities for the future of autonomous vehicles. Driver Less Vision aims to generate empathy between humans and non-humans, to construct the trust required for negotiations that will settle how we will live together. 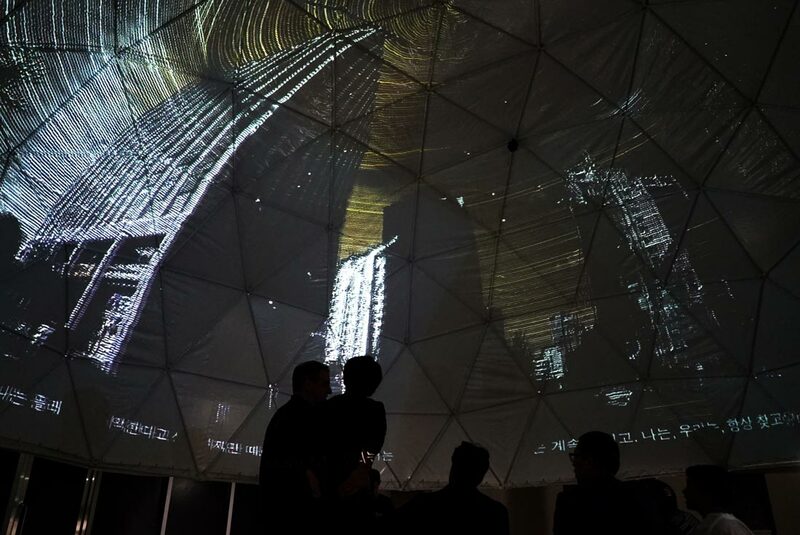 By overlapping human and machine perceptions, the installation helps to identify the areas of the city that will need to be redesigned in the immediate future. University of Technology Sydney and Rice University: Urtzi Grau, Guillermo Fernández-Abascal, June Deng, Keegan Hebert, Evio Isaac, JP Jackson, Haley Koesters, Yu Kono, Sai Ma, Isabella Marcotulli, Natalia O’Neill Vega, Daria Piekos, Alina Plyusnina and David Seung Jun Lee.